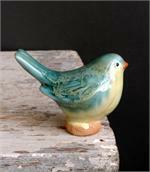 A light frosted turquoise on the back and head with a frosted cream belly. 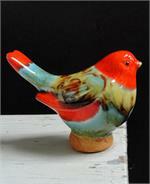 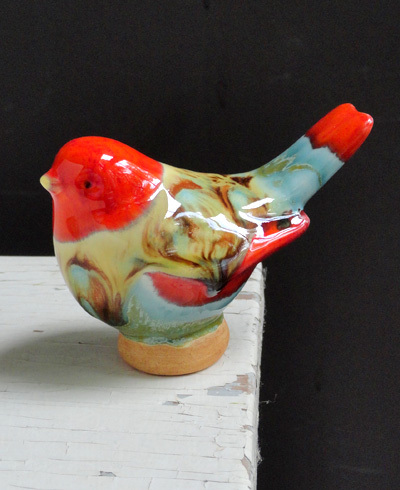 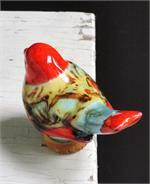 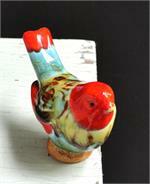 Our deep red Bebe Bird with a light green base. 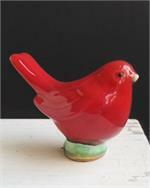 wolfebirds.com ©2019 Wolfe Birds TM, 4308 Old Canton Road, Jackson, Mississippi 39211, All Rights Reserved.